The Intel Atom® SoC integrates the low-power 9th generation graphics engine and provide excellent graphics, media and display support. By using cPCI-3630G, it supports up to 4K HD resolution. Storage options include an onboard 32GB SSD (optional), mSATA socket or CFast and 2.5" SATA drive space on the layer 2 riser card (cPCI-3630D/G/T/TR). 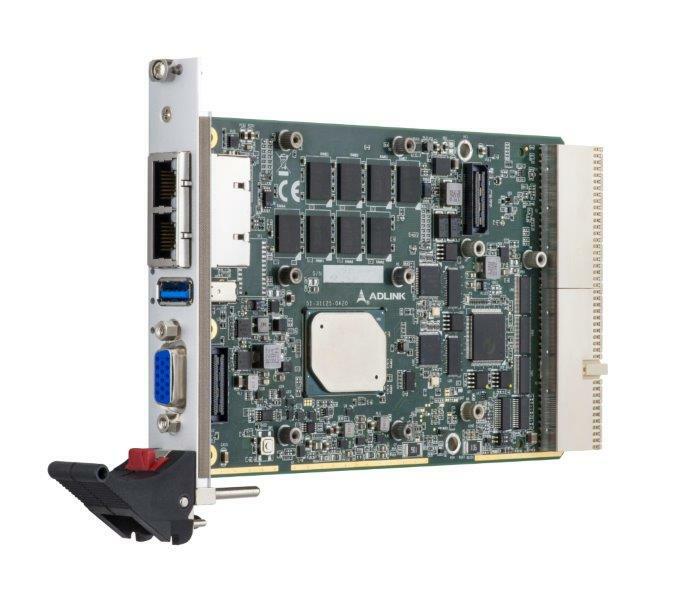 One optional PCI 32-bit/66 MHz PCIe x1 XMC site is available on the dual-slot cPCI-3630S version. The cPCI-3630 is an ideal solution for transportation, military, factory automation and other industrial applications that require optimal computing performance for data transfer with lower power consumption. The ADLINK cPCI-3630 provides high manageability, supports Satellite mode operation as a standalone blade in peripheral slots, and features ADLINK's Smart Embedded Management Agent (SEMA) for system health monitoring.